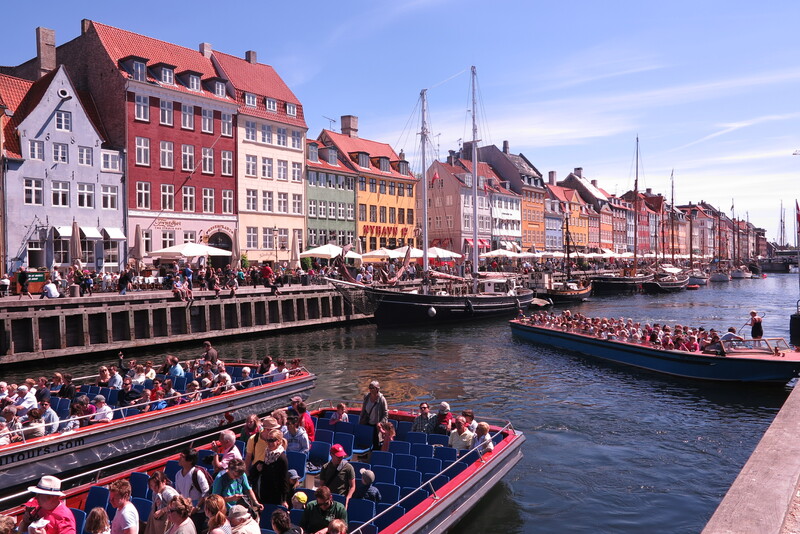 From nibbling chocolates in Bruges to admiring the treasures of St Petersburg, bouncing across the waves in a speedboat in Helsinki to exploring the canals of Copenhagen, a Baltic cruise offers an amazing wealth of experiences, memories and fun. Leaving from Southampton means you can take everything you need in your car, drop your luggage with a porter, and soon be relaxing on board with a drink in hand on your balcony ready for the 4,000-mile voyage. 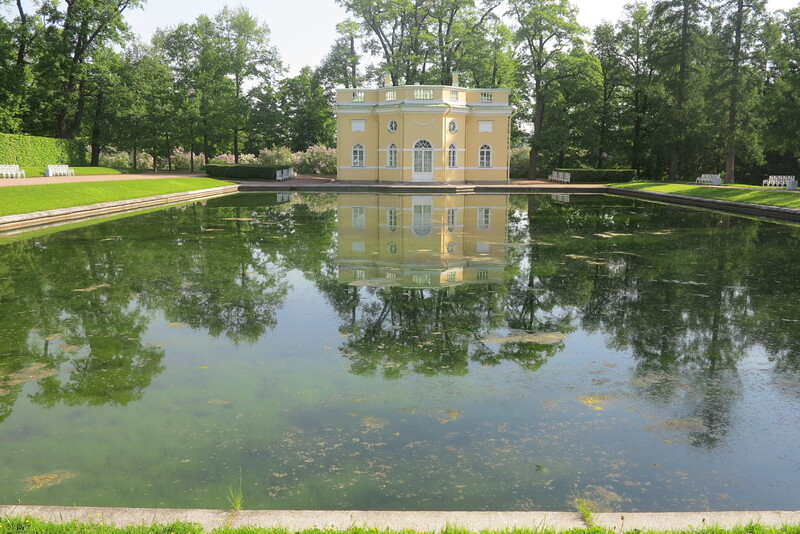 We chose a 14-day trip on Celebrity Eclipse that stopped in Belgium, Germany, Sweden, Finland, Russia, Estonia and Denmark. Why Eclipse? We were travelling with two couples, both of whom were sceptical about cruising until we introduced them via Celebrity ships – and it was one of them who suggested we sail again on Eclipse. It’s the Goldilocks of ships – not too big, not too small. It’s got plenty of space and a wide choice of restaurants and bars while retaining a class and sophistication normally associated with smaller ships. Like its four Solstice-class sister vessels, Eclipse eschews flashing lights, noise and gimmicks – its most outlandish feature is a real lawn and glass-blowing show. 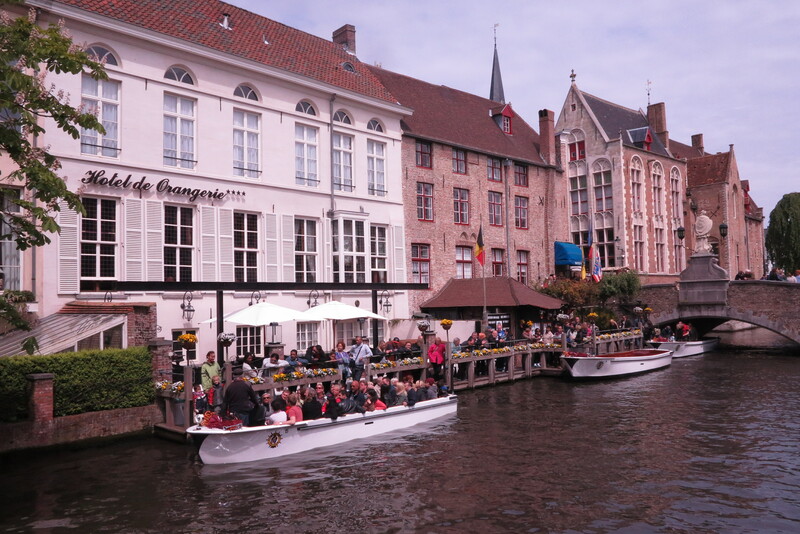 Every long journey begins with a small step – in this case a short hop across the Channel to Zeebrugge and a half-hour coach trip to Bruges. What’s not to like about a city renowned for chips, chocolate, waffles and beer? 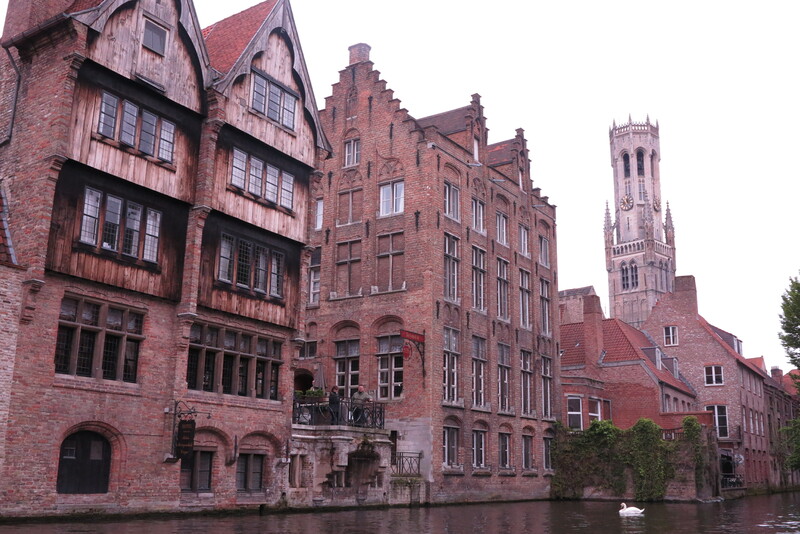 Rather than take a guided tour, we wandered around at our own pace and took a boat through the canals, admiring buildings dating back to the 12th century. To ease us into our epic journey, we then had our first full sea day, giving us time to explore again the 122,000-tonne ship, which we saw christened in Southampton in 2010. As well as the two-storey main restaurant, there are also Italian, French and experimental venues (see below) and a thirst-quenching variety of bars and lounges from quiet and cool to busy and lively. There’s the usual theatre, spa, pools, library, shops, casino, art gallery and children’s clubs but the ship holds many surprises for new guests – including a four-storey tree suspended between glass-fronted lifts and eye-catching works of art displayed in the spacious area around the specialty restaurants. Even if the weather’s cold, the water and air are warm in the solarium. This micro-climate was needed as we arrived at our second port of Warnemunde in Germany. 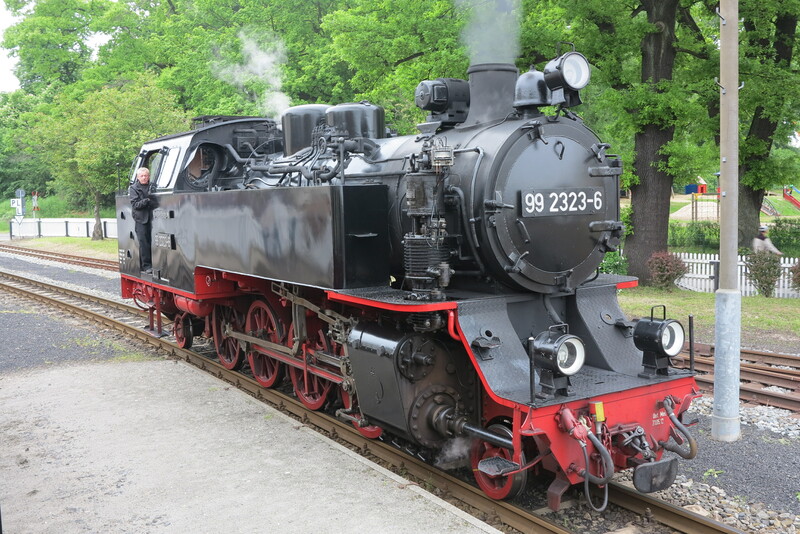 From here, you can take a long round-trip by coach to Berlin but we decided instead to ride the small-gauge Molli steam train from Bad Doberan to the seaside resort of Kuhlungsborn. After visiting a 13th-century Cisterian abbey church, we boarded our carriage for the nine-mile, 40-minute rail journey along high streets, through green fields and along the coast, occasionally popping out on to the viewing platform to feel the blast of the wind and smell the smoke from the engine. Sadly, it was raining in Kuhlungsborn so we spent the time before our return coach trip in a welcoming Irish pub. 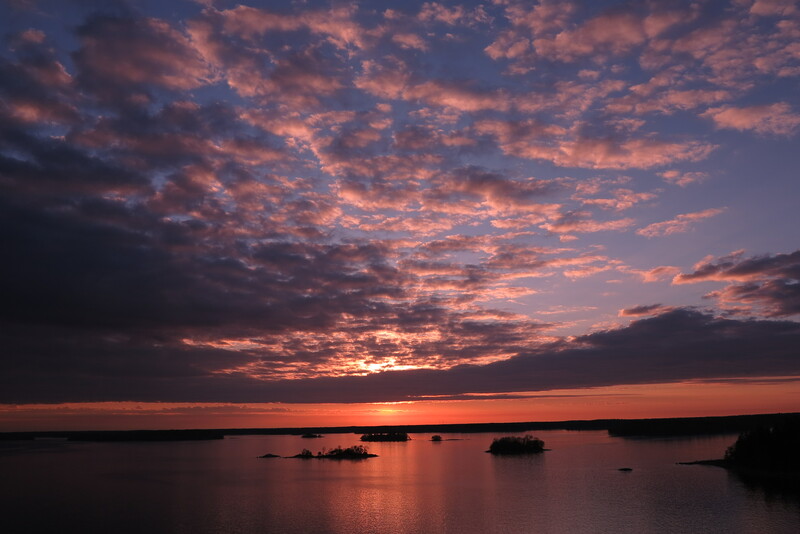 Following another day at sea, we arrived in Stockholm. 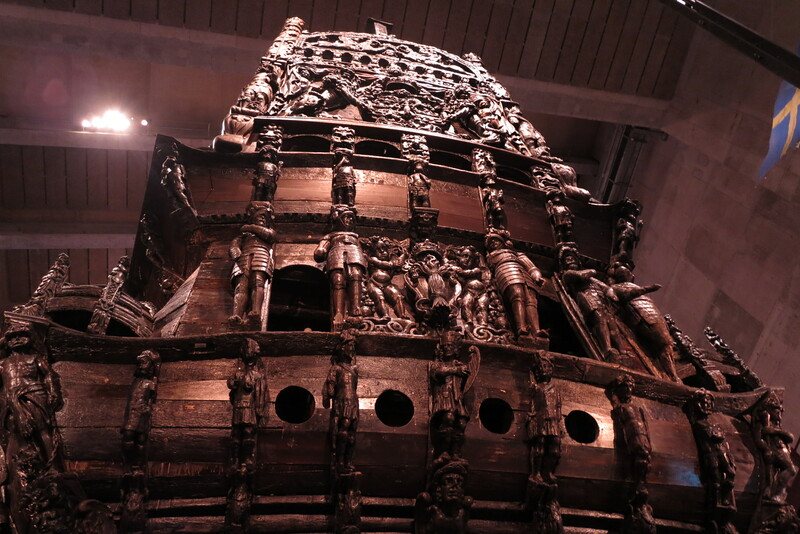 Here we jumped on a hop-on, hop-off bus – and then a similar service by boat – eventually arriving at the Vasa museum with its fascinating display of a wooden warship which sank shortly into its maiden voyage in 1628. It was salvaged in 1961 in remarkable condition, preserved by silt and the lack of salt in the water. Now it towers above visitors with its intricate carvings and tall masts. 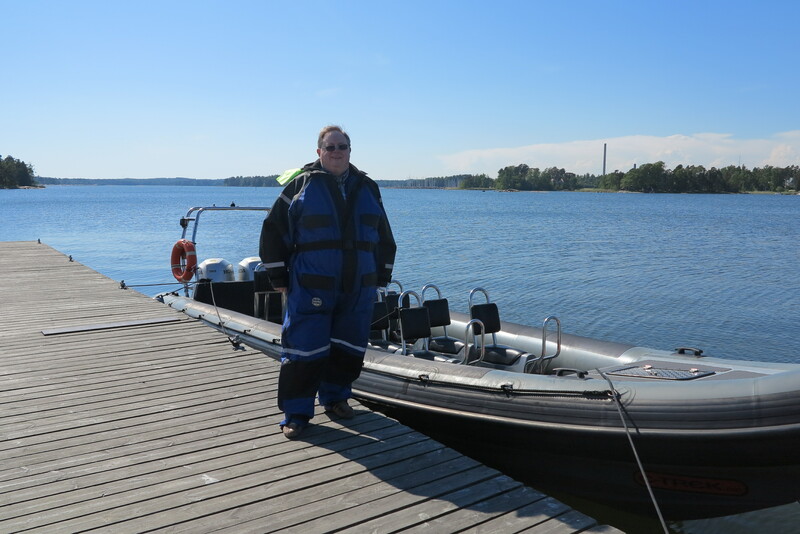 In Helsinki, we were among a group of eight from the ship who took a rigid inflatable boat trip round the harbour and out to neighbouring islands, stopping at one for a lunch of sausage and salad. 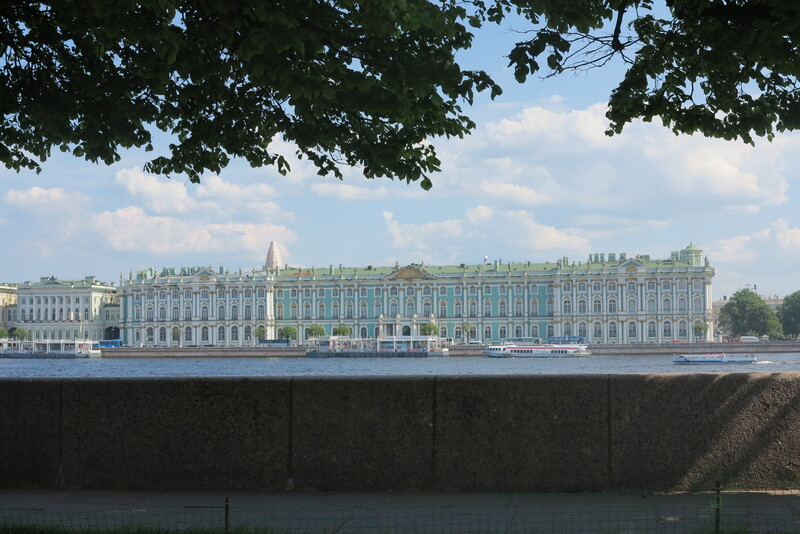 Next stop was the highlight of our trip – two days in St Petersburg. 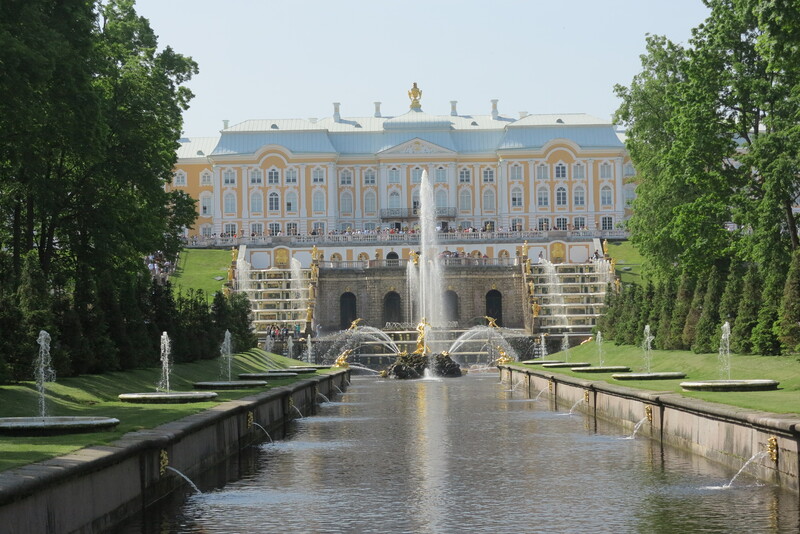 After a long wait at Russian passport control, we boarded a coach that took us on the first day to the Peterhof Palace with its beautiful fountains and the Hermitage Museum, which is packed with ornate rooms and glorious treasures. It was a hard, ten-hour day constantly on the move, following our knowledgable young guide through rooms, up and down stairs and across gardens, but it was worth it. 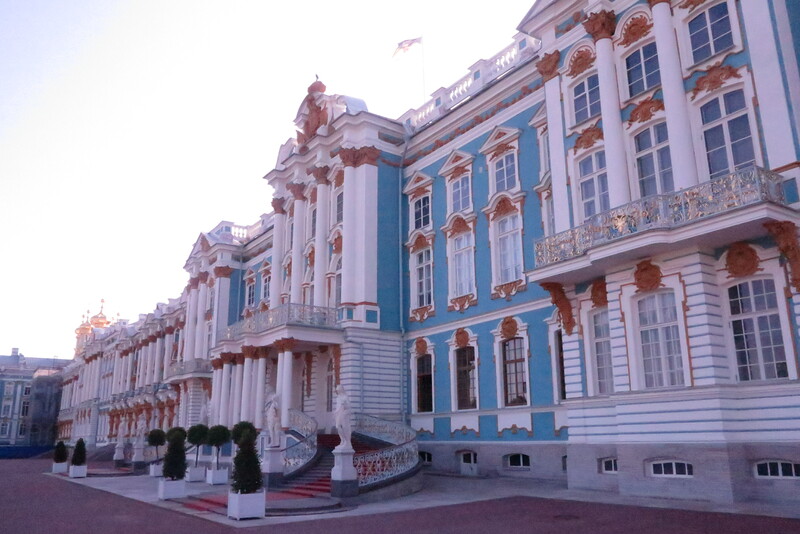 The following day was similarly intense – and rewarding – as we visited the Catherine Palace and various other sites, enjoying a traditional Russian lunch, with vodka, on both days. 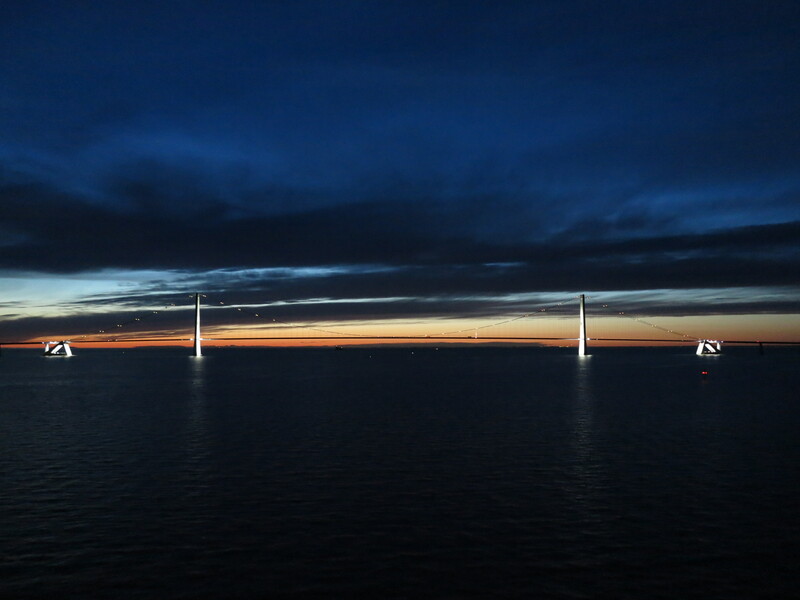 Exhausted and awe-struck, it was nice to sail in Estonia the next day and just take a taxi into Tallinn. 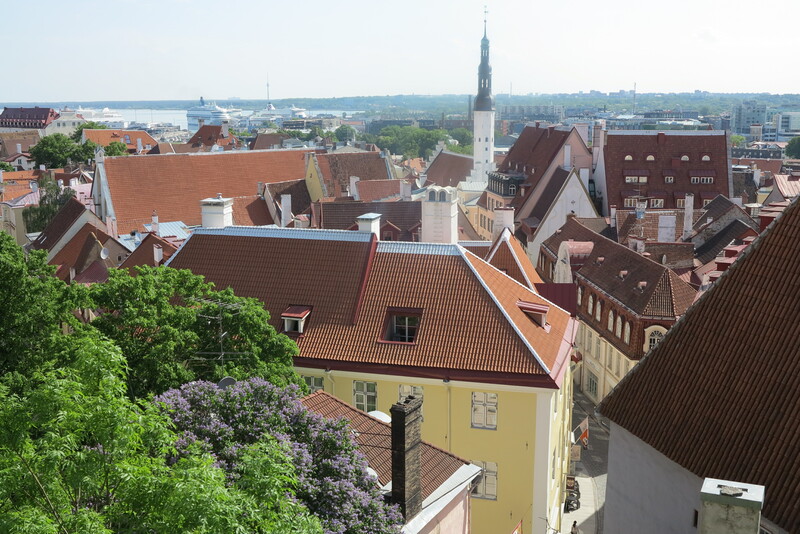 Starting at the upper town, with its views over the rooftops, we strolled down into the old town, passing street vendors – one of whom had the novel idea of inviting holidaymakers to use a giant hammer to strike coins with emblems of Tallinn. 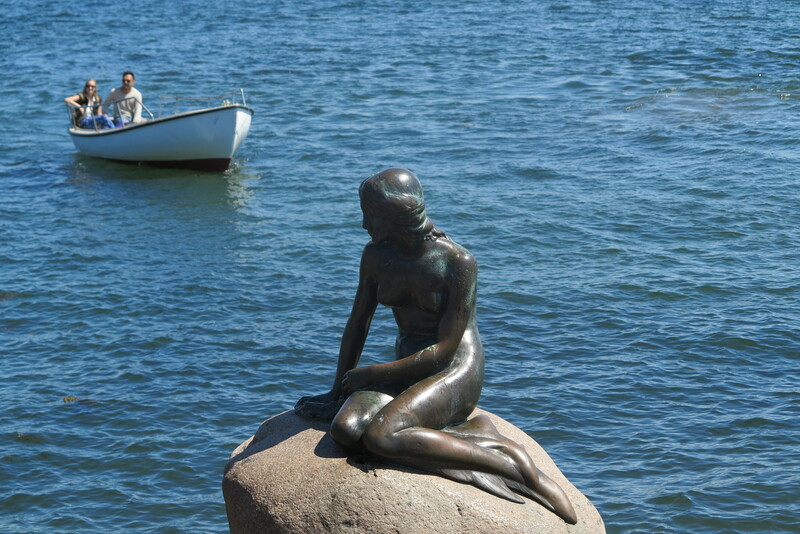 It was good to have a sea day – and, for me, a 100-minute hot stones treatment plus a pedicure in the spa – before arriving in Copenhagen for an unusually long shore visit, from 8am to nearly midnight. This allowed us to get a cab into town during the day to explore the sights in glorious sunshine and sip beers by the water before returning in the evening for a boat trip around the canals. Our final two days were at sea, giving us the chance to unwind, read, visit the gym, sun ourselves on deck, read on our balcony, enjoy leisurely meals – and, sadly, pack up to leave our floating home for the past fortnight. 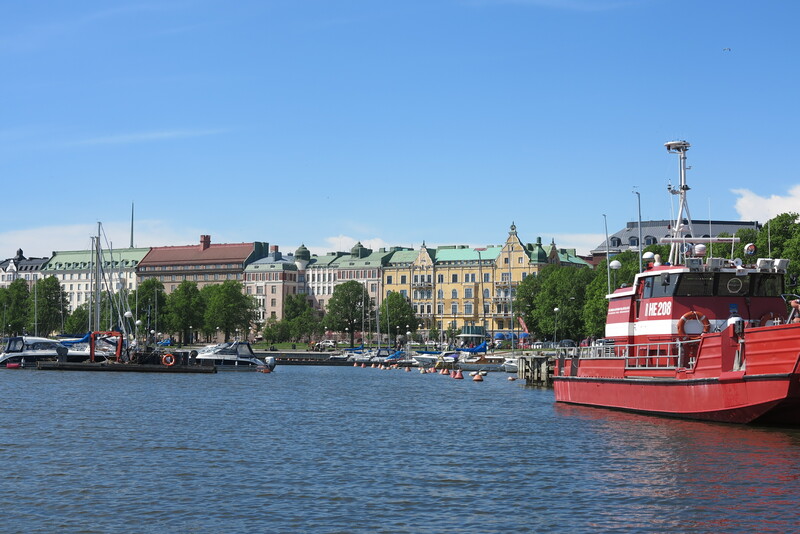 The 14-day Baltic cruise itinerary works out wonderfully, with an easy start, busy middle – with clocks going forward three times – and a relaxing end, regaining the hours we’d lost as we headed back towards England. 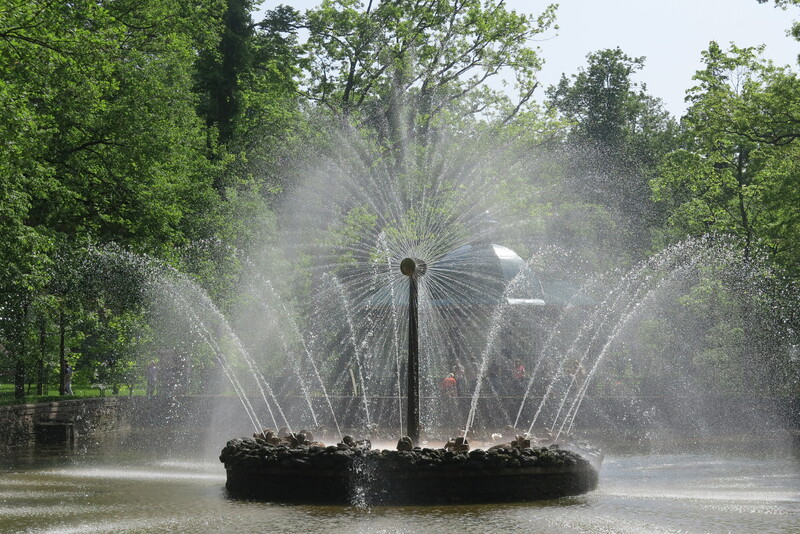 Picking up our car in Southampton for our drive home, we reflected on how we had seen dozens of sites and enjoyed a wide range of experiences in a variety of countries – some of which had changed dramatically within our lifetimes – without ever stepping on a plane or milling around an airport. That’s something worth lifting a glass of vodka to. Moonlight Sonata: The main restaurant, seating hundreds at two sittings. 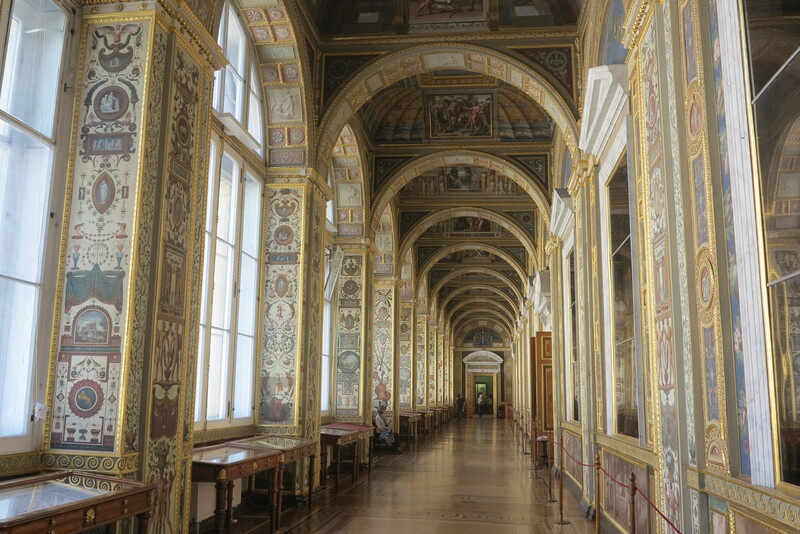 Service is remarkably swift, considering the number of guests – but, also, staff are at full pelt, leaving little time for conversing with guests. Sample dish: Chicken kiev – herb-stuffed chicken breast with creamy mashed potatoes and sauteed green beans. 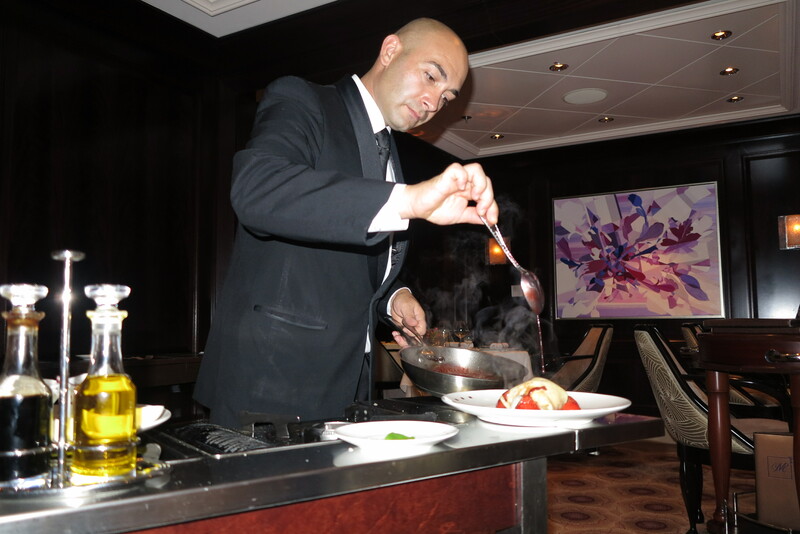 Murano ($45 a person supp): The top dining experience on the ship. Elegant surroundings, very personal and attentive service, with waiters lifting silver domes off food or cooking crepes at your table. Sample dish: Herb-crusted lamb rack – pea puree, tomato confit, baby carrots, spice meatball and garlic jus. 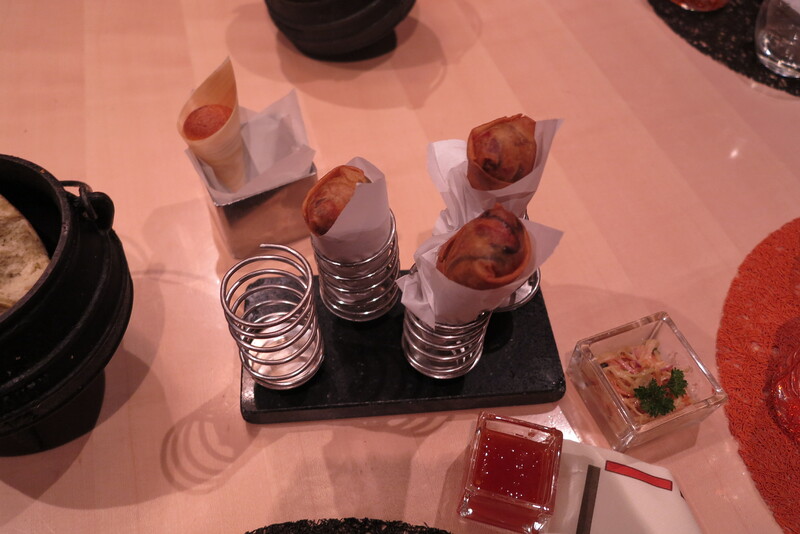 Qsine ($45 a person supp): Wacky, fun, surprising combinations and servings of food from popcorn fish and chips to sushi lollipops. Great to share with friends but probably a once-a-cruise experience. Sample dish: Meatball trilogy – Kobe with Cheddar and Marinara sauce, veal with mushrooms and Marsala sauce, turkey with cranberry and sage gravy. 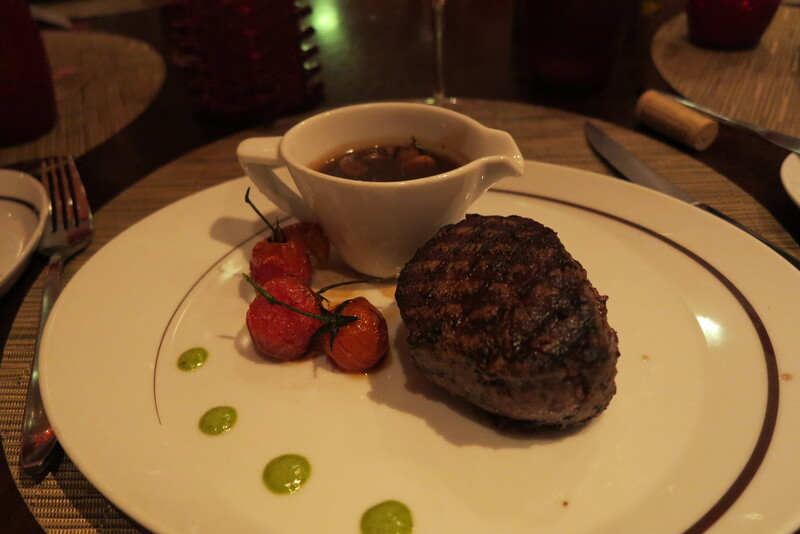 Blu (AquaClass guests only): Restricted menu with some constant favourites including steak and ‘airline’ chicken. Also provides breakfast for guests in AquaClass. Sample dish: Shallot crusted Mediterranean seabass – confit of Honjimiji mushrooms, edamame beans and white miso broth. 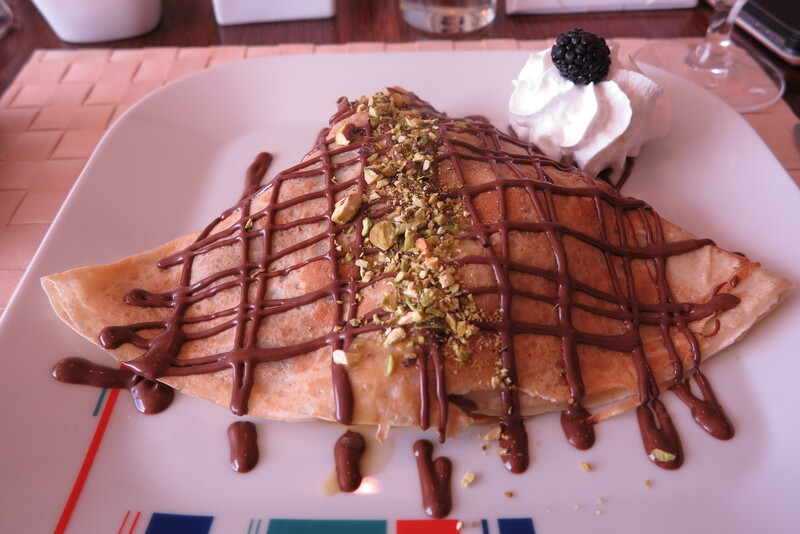 Bistro ($5 a person supp): Unbusy cafe that serves crepes and paninis from breakfast into the early hours. Sample dish: Cowboy pancake – grilled flank steak, spinach, caramelised onions, bacon, Provolone and herb dressing. Oceanview: A buffet open most hours of the day, offering an eye- and mouth-watering choice of breakfast, lunch and dinner dishes with snacks inbetween. Incredibly busy at times, surprisingly quiet at others. Considering the quantities involved, food quality is good with personal service for cooking omelettes, carving ham or serving ice cream, for example. Relaxed, casual atmosphere which makes an attractive alternative from the other restaurants if you want a quick or lighter meal. The salads are popular with those trying to save their waistlines from too many three-course evenings. Mast Grill: Juicy burgers and hot dogs for those sunny days on deck when you just fancy a bite to eat. You can also serve yourself ice cream. Cafe al Bacio: Busy – ie often difficult to find seating – cafe with a wide choice of coffees and teas and tempting cakes and pastries. Also has a gelateria for indulgent chocoate-dipped ice-cream cones. Cellar Masters: Classy, less busy, bar featuring wines from across the world – many of which you can dispense yourself in varying measures from optics around the room. Ensemble Lounge: A favourite pre- and post-dinner bar as it’s closest to the Murano, Tuscan Grille, Blu and Qsine restaurants. Strangely dark on bright evenings but otherwise a cosy, jazz club feel with live music. 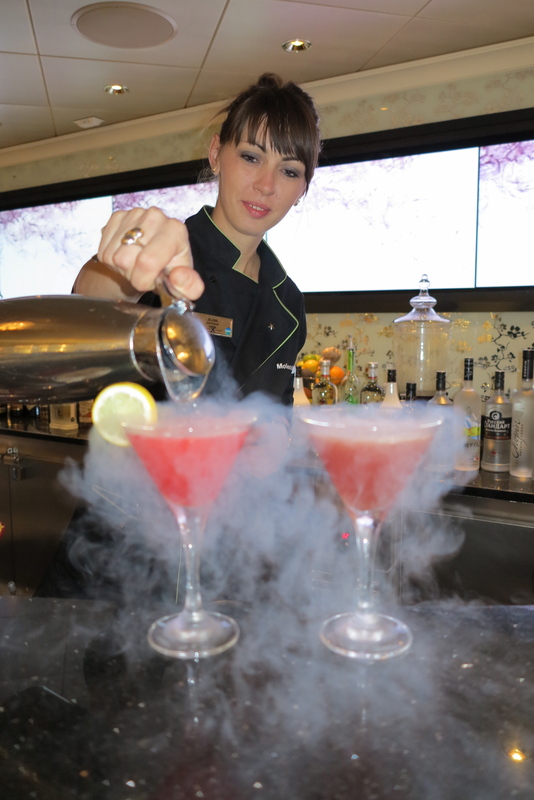 Molecular Bar: The Cinderella of the drink venues on the ship. 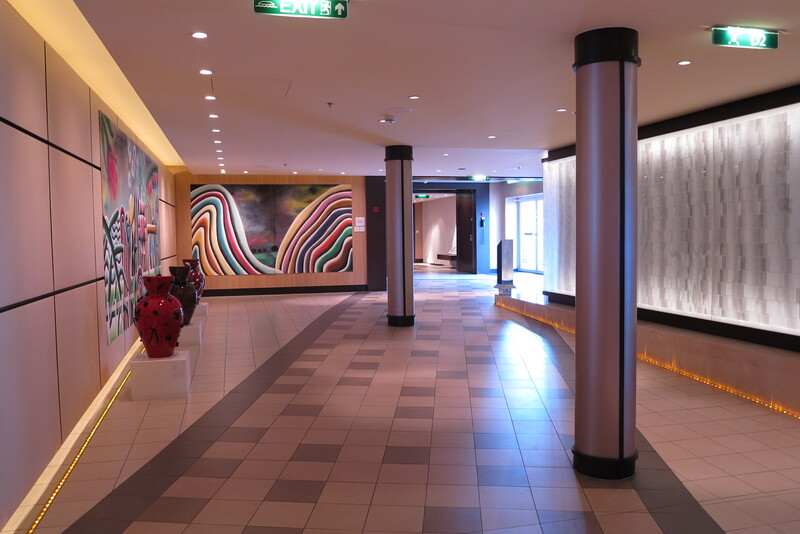 Based by the art auction area, it’s unnoticed by most passengers and the atmosphere is marred by its openness which allows music from different venues and passengers going to and from the theatre to intrude. But it serves interesting and bizarre cocktails at $13.75 each – almost twice the cost of regular drinks elsewhere on the ship. A great place for quick and attentive service and a new experience. Martini Bar: Cool meeting place for, you guessed it, Martinis and vodkas. Very busy around dinner with some entertaining demonstrations of cocktail-making by the bar staff. Michael’s Club: With the feel of a gentleman’s club – by which I mean select and elegant rather than lap-dancing – this quiet oasis off the Ensemble Lounge serves mainly spirits. 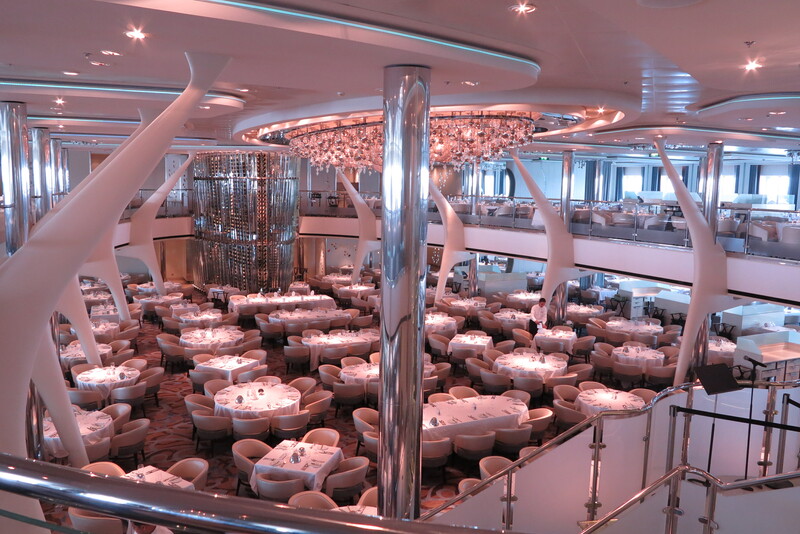 Sky Observation Lounge: Popular bar at the front and top of the ship with live entertainment. Quasar: Fun nightclub often playing retro music. Good place to hang out if you still have some dancing energy left after your meal. Sunset Bar: Area at the back of the ship that’s ideal for hot summer evenings. Pool Bar: Relaxing area when the sun is out, but closes surprisingly early even when the weather continues to be good into the late evening. This entry was posted in Cruise reviews, Ship reviews and tagged Blu, Bruges, Catherine Palace, Celebrity Cruises, Celebrity Eclipse, Cellar Masters, Copenhagen, cruise ships, Ensemble Lounge, Great Belt Bridge, Helsinki, Hermitage, Little Mermaid, Martini Bar, Michael's Club, Molecular Bar, Molli steam train, Moonlight Sonata, Murano, Oceanview, Peterhof Palace, Petersburg, Qsine, Quasar, Stockholm, Stockholm archipelago, Tallinn, Tuscan Grille, Vasa, Warnemunde. Bookmark the permalink. absolutely excellent… now I am starving too! Sounds great thanks can’t wait til June! THANKS FOR THE GREAT REVIEW WE ARE COMING FROM NEW ZEALAND TO DO THE SAME TRIP IN JULY. Your reviews are building the cruise industry, Dave. Not only am I keen to get cruising, I am telling people to do the same. Great work.